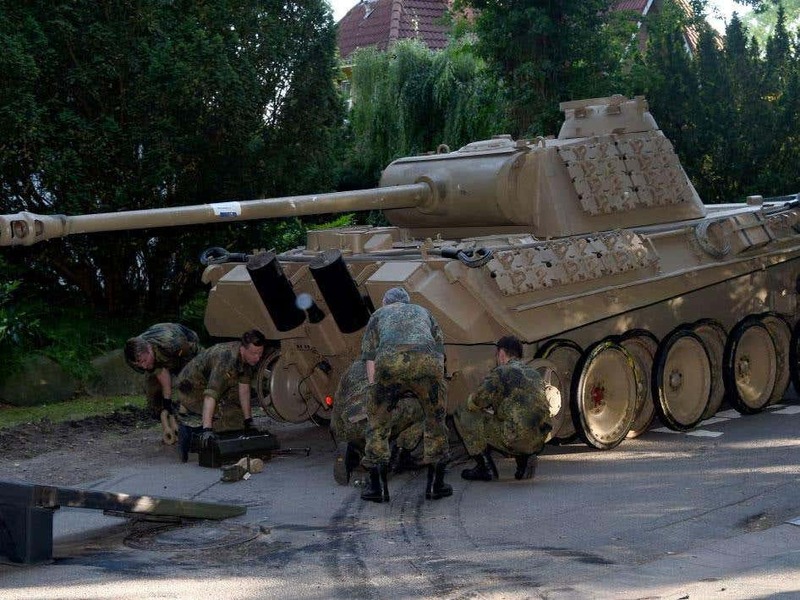 Police searching in a villa in a wealthy German suburb have found a Second World War tank, a torpedo and other illegal weaponry in the basement. The police found the huge wartime haul in the town of Heikendorf, a suburb of Kiel. The search was ordered by Kiel prosecutors, who suspected that the owner’s collection was breaking a law which controls the possession of weapons of war. The Kiel officials were tipped off by Berlin prosecutors, who had searched the villa a month earlier for stolen Nazi art, The Local reported. Along with the 1943 Panther tank, a torpedo and assorted other weaponry not specified by the police was found. The hoard was found on Wednesday, but by Thursday, police were still working to remove the 45 tonne, 22 foot tank from the property, using another tank designed to haul disabled tanks off the battlefield. 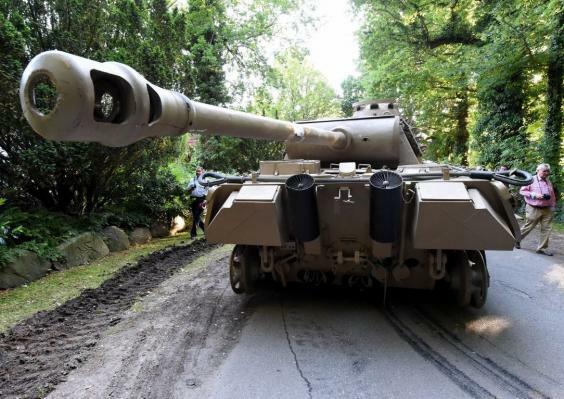 The Süddeutsche Zeitung reported that the villa owner’s lawyer claimed that the tank could no longer fire its weapons and thus was not breaking any law. 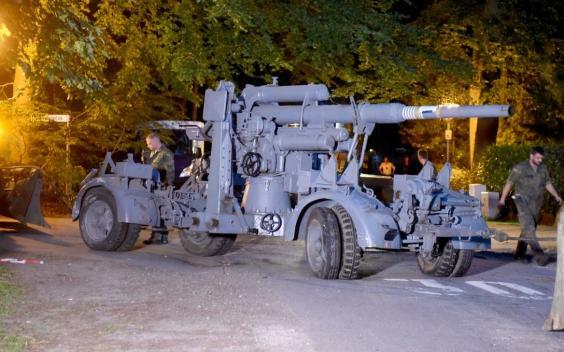 The Zeitung also spoke to the mayor of the small suburb of Heikendorf, Alexander Orth, who was not surprised by the discovery of military hardware. “He was chugging around in that thing during the snow catastrophe in 1978”, the mayor said. As well as laws against owning weapons of war, it is illegal to collect or trade in Nazi memorabilia in Germany unless it is for scholarly or museum purposes. However, there is no evidence that the man has broken this law. Check out our great German WW2 items for sale!